As we all know, tapes and cassettes are so old hat that even some charity shops don't want them anymore. But the police and the courtrooms of this world can't currently accept digital media, such as SD cards, to hold evidence as tampering with them and changing the contents is just too easy. But don't worry, as SanDisk have come up with a card that can be written to only once and then locked down to become read only (Write Once Read Many=WORM…clever, eh? What a stroke of luck). Uses for this include police witness and suspect interviews, cash registers, electronic voting and really annoying yourself when you accidentally buy one down the shops and realise you can't use it again. "As digital media volume has grown and surpassed traditional analogue media such as film and audio cassettes in the consumer market, law enforcement agencies and other professionals are facing rising costs and lack of supply," said Christopher Moore, director of product marketing for OEM memory cards at SanDisk. "SanDisk's new SD WORM cards offer professionals a one-stop solution for capturing and archiving critical data, along with many other benefits of moving from analogue to digital." 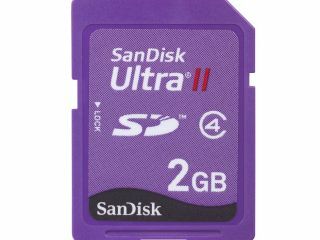 The cards only currently come in 128MB versions, though SanDisk says higher capacity versions will be available later this year.